Jakob Freund is the Co-Founder and CEO of Camunda, an open source platform for Business Process Management. Camunda’s customers include AT&T, Wüstenrot building society, Lufthansa Technik and Zalando. In this episode, Jakob discusses Camunda’s unique journey from consulting to a product-based company. Michael Schwartz: Welcome to episode 15 of Open Source Underdogs, the podcast where the founders of open source software companies explain the process of defining a successful business model. 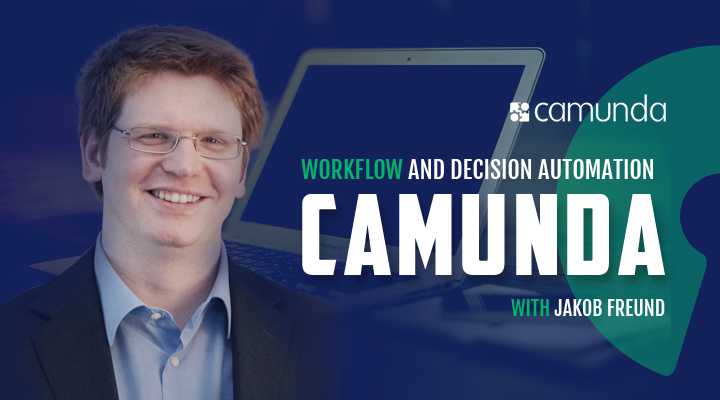 Jakob Freund is a Co-Founder and CEO of Camunda, a Berlin-based company that is reinventing workflow automation. I recorded this interview back in November but I’ve been a little backlogged. In December Camunda announced the completion of a € 25 million series A. Although Jakob told me it was in the works, I didn’t ask him about it in this interview because it wasn’t finalized. But Jakob has a great story to tell, and Camunda is a business that we can all learn from. So without further ado, let’s cut to the chase. Jakob, thank you for joining us today. Jakob Freund: Yeah, sure, I’m happy to. Michael Schwartz: So, tell me a little bit about yourself, what did you do before Camunda? Jakob Freund: Before I started Camunda, I used to work with another software vendor, in the same industry, Business Process Management. And that was just about a year or so, and before that I actually went to university. So I did start Camunda pretty soon after I finished my studies basically. Michael Schwartz: Tell me a little bit about how Camunda got started? What’s the origin story? Jakob Freund: As I just have mentioned, I was already in this industry called Business Process Management, which I always found very interesting. I did work in that industry as a consultant, and I figured that I could actually do that as a freelancer. And then I met my Co-Founder Bernd. 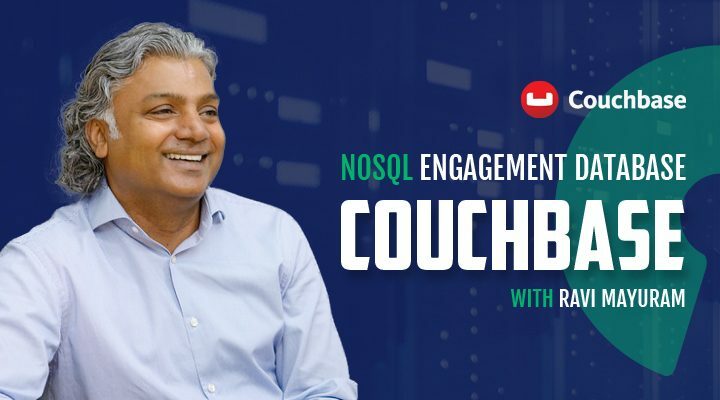 He was already freelancing in the same industry as basically a Java developer, doing workflow automation with open source BPM technology back then. So the two of us met up, and we had this idea about starting a consulting business around BPM – that was back in 2008. And that’s how Camunda basically came about. Michael Schwartz: Who are the customers of Camunda? Do you segment in any way? Jakob Freund: Yes, maybe just to complete that story, so Bernd and I started Camunda as a consulting business for BPM, and we did that for about five years, on 2012-13, more or less. And as consultants, we understood that market quite well. We saw all the technologies out there, and we saw that there were BPM process automation products delivered by the big players, like the IBM, Oracle, Software AG. And it looked like a good number of the relationship consulting struggled with actually applying those products. So they had software developers themselves, they wanted their software developers to do process automation projects, and those developers struggled to use the IBM’s Oracle’s, and other products because they were so heavy-weight, and not really open, in a sense of an architecture, not easy to embed, and things like that. We decided then, in 2013, that the time was right to deliver a BPM technology that would be appreciated by developers, and we started that as an open source project. This is basically how Camunda transitioned from a consulting business to a software business. So, to answer your question now, this kind of open- source process automation technology applies to basically any organization that wants to automate their business on one hand, and at the same time, see IT as their core business infrastructure, therefore, also entertain their own software development teams. And you will find that kind of organization in different industries. So, for example, insurances in the German-speaking area, but also banks of course, in a broader sense, in national services, telecom companies, media companies, eCommerce – in that says, it’s a real horizontal technology applied in different verticals. Michael Schwartz: Why do you think it was important to make the product open source? Jakob Freund: For two reasons really. We have already engaged with another open source project, so the initial version of our project was basically a fork of that project because we didn’t see it really evolving and moving. So there was some history behind it on one hand, but then again, also, we figured that since this is a product that is built with developers top-of-mind, it’s meant to be used by developers. It’s kind of a natural thing to say, okay, let’s make this available open source, so that developers can adopt it very easily, without signing up for anything. That developers can also contribute to it, if they’re missing features, some of their spot box, not so much in order to get that work force for free, but in order to actually do not get them engaged and excited about the technology, and also to understand where we should be headed in terms of the next features and the roadmap. So it’s kind of a product management treat that you will get when you deliver such a technology open source. Michael Schwartz: So how do you monetize what things do you sell at the company? Jakob Freund: I guess it’s a pretty common approach really. You could say it’s an open core based business model, so we have to workflow the engine, you know, the actual thing under the hood in the headless fashion that executes those business user-friendly flowchart diagrams in order to orchestrate services. For example like microservices, but also in order to orchestrate human work, and things like that. This is headless so developers can embed it in their own architecture, and that’s all open source. Then it comes to putting your processes into production, then running them, and you can still deliver the open source version, that’s fine, it’s stable and everything. However, you might want to also have additional features around operations, for example. So there is a tool that we deliver, which is called Cockpit, which comes with pretty powerful features for operating complex ecosystems of automated workflows. And that tool was partially open source as well, but the majority of features is available to Enterprise customers. Another tool for example is called Optimize, which is more about business users. So business users get the ability to look into the running process right away, in real time, they get nice reports, and for example, heat maps on flowchart diagrams. So I, as business user, have this direct access to the technically running business processes. In terms of adoption, it means that developers adopt technology right away, it’s open software, they can use it, they propose to put this to production towards their management. At some point, the management might wonder about, “yes, of course, support and maintenance.” But also about, “okay is there any additional tooling available for operating this, and is there any additional tooling for making our business sponsors happy?” And that is available with Enterprise. Michael Schwartz: In terms of revenues, is the greatest percentage of your revenues from license or from support? Jakob Freund: So the support is part of the license subscription, so we don’t unbundle that, to sign up for the Enterprise version of the product, to get all the additional tools, and features, and the support. So since it’s not unbundled, I could not say that the revenue can be split between those two elements. But when we look at consulting, which is about best practices and more consulting coming on site, and reviewing your architecture, and stuff like that, that consulting comes on top of that. When we look at our revenue, we could say that about 90% is coming from the Enterprise subscription, which is a license business, including the support service. And 10% is around consulting services. Michael Schwartz: Are other companies or software vendors taking your open source and building it into their product? We have customers for example as Gainsight, a customer success management firm, which embeds Camunda in their product, there’s Autodesk, for example, and many others. It’s pretty straightforward for software vendor to embed Camunda in their product, in the headless fashion, so their end-users wouldn’t be aware of Camunda, but they get those workflow management features. If I was, for example, a vendor that had a product that it’s about email automation in whatever way, like for marketing or others, and there’s those drip campaigns, where I send out an email, and depending on the reaction of the recipient, I might send out a follow-up email – that’s a workflow. And you can design that workflow in a graphic away in Camunda, and then let Camunda run that workflow, and all within your product, without exposing Camunda to your uses. Michael Schwartz: How are those relationships going? Do you see contributions back from those partners? And I’m just wondering, has it been really beneficial, or sort of neutral, or how’s it gone with those types of deals? Jakob Freund: Well, I would say it’s extremely beneficial for us, but not so much in the sense that they would contribute large amounts of code, in that sense, that they were actually, like rebuilding the code features that we then simply merge, get app, and then we’re done. So that’s not what you should expect when you bargain on open source, or when you pattern open source as a vendor yourself, but you will be getting a lot of very, very helpful feedback from the people actually using your technology. That can be just individuals, open source users, they can also be organizations, like those software vendors. By looking at what they are asking for on the forum, by looking at their pool requests, or things that they are building on top of all product and then contributing that as what we call “community extension,” which we also feature then into our ecosystem. We understand pretty well what now should be the next steps in terms of making the product more powerful. One example, I just mentioned this heat map feature that shows which part of our process is executed most often – that was an initial version, not developed by ourselves but by a partner of ours, as a plugin. And then we looked at that, and we actually redeveloped that from scratch. We didn’t actually merge a single line of code, but we got a pretty good understanding of how the feature could look like. Soon our developers ended with stuff like, having a Spring Boot integration, for example, that can also be related to more business-user related features, like the heat map that I just mentioned, and many more aspects. Michael Schwartz: Do these customers, who are productizers, do they buy a subscription? Jakob Freund: There are both. There are software vendors that sign up – for example, we have Aion fashion with us, and then we even get Royalties, based on their own success with the product that’s out there, but of course there’s also other companies that use the open source version and don’t pay us. And I’m quite sure there’s many more of that category. We can’t really track that since we don’t ask people to leave their email address in order to download Camunda. It’s not that we have a direct tracking of who’s using the open source version, they are not paying us, but, of course on an anecdotal level, when you look at our meetups and other community events, we actually do encourage and invite those companies to present there just as well. It’s not important for us in that sense that they’re paying customers in order to get presents in our community. Michael Schwartz:How do you look at sales and marketing – is it mostly in-bound, or how are you sort of approaching it? Jakob Freund: Well, as of today, it’s 100% inbound, in fact. So we don’t do any cold calling or, otherwise, outbound prospecting. So, what happens is that we basically have the website of course, and the website is about the open source community, and it’s also about the Enterprise offering, so people approach us asking for quote, for example, also putting that pricing request form, things like that. And, of course, there’s also some classical general marketing activity, it’s like content that we provide, and they would sign up for that content, becoming a lead, and things like that. But there’s no open activities, as of today at least. Michael Schwartz: So, in terms of partner development, is a partner important to you as a channel? Jakob Freund: I would say it’s very important to us, in a sense of having resources available, people available, who can help our customers to implement their workflows with Camunda. We have a lot of system integration partners that you can find on the website that have to go through a certain program of getting educated and certified eventually, etc. So we have those partners in basically any region of the world. This is where our partners are extremely valuable. I wouldn’t say that as off today that they are super important channel partner, so of course we have a few, especially, the bigger ones, who are also proposing Camunda to their customers, and bring new business to us. But I wouldn’t say that we have come to this point, as of today, thanks to that channel. Michael Schwartz: Where do you draw the line with open source? You mentioned that you are Open Core. How do you prioritize which features are contributed to open core or the core product, and which features are going to be Enterprise? Jakob Freund: First of all, I know that there are some companies who would just use open source in order to piggyback on this tournament, and deliver what you could call a triple software, which is not really production ready, or not really usable. That’s not how we see it. We really committed to that ideal, and that’s why we want to deliver a great technology and open source, that developers can adopt and use right away, and build great stuff with that, and then also putting that into production. In that sense, when we look at new features, if we should make them available open source or not, we have that in mind. If you imagine a developer, sitting at home on a rainy Saturday, that’s just browsing around the internet, and checking out technology. And perhaps they have some project in mind that they are looking at work right now. For example, we want those developers to be excited and be empowered to solve their problem or build exciting stuff with Camunda right away. When it’s about feature stat that would support that idea and would support the developer’s life basically, then this feature is a natural form made available open source. It applies to the core engine, the headless engine, but it also applies to a tool that we deliver, which is called the Modeler, which is a nice application to create those BPM flow chart diagrams. That tool is available open source as well, and it’s a whole ecosystem of plug-ins contributed by other developers that enhance that tool. So it’s not just about the core engine stuff that is open source. Then we have other features, which are more about also other personas within the organization. For example, when I look at, let’s say, CIO or executive manager in the IT department, they might worry about certain stuff that really kicks in when you go alive with a large set of mission-critical business processes. Like high availability and data replication across data centers, or update mechanisms, if you want to have like an update of Camunda and your cluster with zero downtime, and stuff like that. It’s fine and fair for us to ask you to sign up for an Enterprise subscription in order to get nice features that you would need to build yourself, but you couldn’t, if you wanted to use it that way, and everyone’s fine with that approach. Michael Schwartz: You mentioned before that you were still providing some professional services within the organization. How do you draw the line with when to refer to partners in a certain region, or when to maybe take on those professional services yourself? Jakob Freund: Well, our PS team is steady, specialized obviously in technology and surrounding best practices. Like for example, how to involve business stakeholders and capture the ideas about to be processed, and to put that into a BPMN flowchart diagram that can be executed. That’s not so much even about coding or architecture, it’s about simple best practices to talk to business’s user. That kind of skill set you will find with our consulting team, and it’s a small team really. They’re not supposed to implement, or do the heavy lifting of the project implementation work. So, when you are in organization and say, “I want to start my Camunda adoption journey, and I need some guidance on how to do that.” then our consulting team is happy to help, let it be on site or remotely. But, when you say, “I need someone who will actually be with me, let’s say, a team even of developers or consultants on site for the next six months, supporting us, implementing this, etc, then we would actually refuse that request, we wouldn’t deliver that. That’s the situation where it’s pretty clear that our system integration partners are actually to go-to people. Michael Schwartz: No one has enough people to serve all of the customers out there. When customers buy a subscription, do you provide different levels of service, based upon different categories of customers? Jakob Freund: When someone buys a subscription, they are just a customer, and we value each customer very high obviously, so we do not distinguish in that sense. What we do have sometimes customers are in specific situations. For example, if someone says, Okay, I have the situation, I want to go live next month, I’m having issues about performance. Or I don’t know, I need some guidance regarding tuning of the engine, or you know, with optimize or using Elasticsearch, its repository. So, if they’re struggling with that for whatever reason, then of course we will prioritize, and we will help. But it doesn’t really matter if it’s a mom-and-pop shop, so to speak, or if it’s like Fortune 500 or Blue Chip company. Michael Schwartz: There’s other BPM tools out there, you mentioned some of the larger companies like Oracles and IBM, etc, so what’s the value proposition actually of Camunda versus some of the other offerings out there? Jakob Freund: If you compared it to the ones that you just named, the IBM, the Oracle, we believe that Camunda is much more developer-friendly in the first place. If you look at other open source technologies nowadays, like Elasticsearch and Apache Kafka, etc, it’s pretty clear that they are geared toward developers. But, if you look at classical so-called BPM’s products, not so much. That other value When you look at classical so-called BPM S products, not so much so that other value propositions in mind like, hey, we are empowering your business users to drag and drop and point and click, and do everything in a model- driven way, and it’s pretty much of a closed proprietary suite basically. 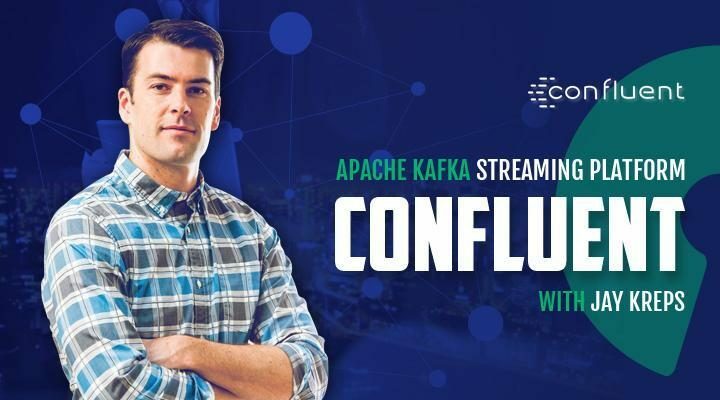 We actually distinguished it coming on from day one and said, no, we’re actually blending the mindset and attitude of the Apache Kafka and Elasticsearch projects with the use-case of business process automation. This means that we see Camunda as the most developer-oriented and most lightweight, and therefore for developers, easy to use technology on one hand, and two, allow developers to meet the business needs around business process automation on the other hand. This, we believe, is our sweet spot. It’s kind of right between super low-level developer-oriented technology and relatively high-level, business-oriented products. Michael Schwartz: One of the challenges of starting a business is figuring out how to create the right offering, that includes both pricing and what’s included in the offering. Camunda’s been around for 10 years or so, has the offering changed a lot? Have you ever had to sort of tweak the offering or pivot a little bit, just wondering like what the process was like for you? Jakob Freund: First of all, as I explained, Camunda has been around as a company for 10 years, but the product only for five years. However, we didn’t have to pivot the co-product so far. And I believe that’s because of the first five years of consulting. For those first five years of consulting helped us to understand very well how a product should look like to have a great product market fit. And which is certainly our biggest asset right now, the product market fit. Regarding the Camunda BPM product in its essence, we didn’t have to pivot at all actually. Where we did pivot, however, on a smaller scale was when we added new features on new components to the product stack. Just to give you one example, Camunda supports BPMN, which is a standard for workflow automation, and at some point we also wanted to support a standard for case management. And we added that to the stack – didn’t really take off, to be honest. I wouldn’t say yet that it doesn’t make any sense at all, but we had to realize at some point, okay, this case management thing. I mean, yes, of course, there’s a market for that, and it’s important. But, to be honest, I mean, the actual thing that is going on in business IT is automation. So it’s not so much about supporting knowledge workers, but if you want to be extreme, actually you could play some other tools you want to automate. Therefore, we decided to double down on this aspect of business process automation, these little iterations, like a year or so, of trying something out and then tuning that, letting go of something, maybe doubling-down on other stuff – that’s what we have suddenly seen. Michael Schwartz: Would you say that your open core strategy is more about adding features, let’s say, extra features like you mentioned, better DevOps, deployment, scaling options for large Enterprise? Would you say it’s more about adding different features into the core products or a JSON tools to the core product? Jakob Freund: It’s both really. No matter if it comes to the community-driven innovation in the product, I would say it’s, to a large extent, adding features to the core. I just mentioned Spring Boot, for example, that’s a great example, that’s really something that the community asked for at some point and even did a bit by themselves, the plugins, etc. And we were really amazed by their activity and engagement. So, at some point, the community asked, “Okay, guys, could we make this part of the co-product so that it’s supported and included in the next release, etc.” So, that’s the kind of innovation that happens in the core that’s very much driven by the people using the product are also paying us for using the product for Enterprise version – that’s one end. Then we have that other end, where, I would say, it’s a bit more proactive, where we collect all those impressions from different sources, and figure that, hey, there’s actually some problems around, for example, business visibility and the business really being involved in processes at one time. And then there’s some vision coming about, okay, what if the business could look at what’s going on any time, in real time, and even get machine-learning back to advise about how to improve their processes. And this is more of a proactive creation of a tool as you just said, and its particular example is optimize. It’s really both happening, you could say. Michael Schwartz: When you look at long-term planning, do you have a vision for where Camunda will be in 5 years, or 10 years? Jakob Freund: You know, on a fundamental level, we would love workflow automation as a technology and as an instrument to achieve this automated Enterprise. If this would be recognized by the developer community, on the scale of the most popular open source projects that are around as of today. Because if we’re honest, if you look at Camunda and Google trends, you’ll see a pretty nice trend. But when you compare it to the Elasticsearch and Apache Kafka project, and absolute numbers, of course it’s not as widespread. So there’s not so many developers coming as of today. And we would love to change that, we really believe that it’s great fun to use Camunda, that it solves serious problems in developers’ lives, so this is one part of the vision that I would see for the next 5 years that we have this visibility into awareness of the top 10 open source projects. Of course as well as there are certain things around the products stack. For example, right now, Camunda has delivered on premise, so you can download it yourself and upload it on premise. We are also looking into offering it as a managed service, and things like that, so there’s a certain vision-based road map for the next years. But at the end of the day, it’s really about creating this awareness among developers, try the technology that is compared to classical open source text, relatively business-oriented. So, this is what we are pioneering in fact. BPM is a business thing really, but doing it in a developer array, I believe can propel any organization forward, that sees themselves as a technology company, like any bank, or insurance, is actually a software company of a certain flavor, and this is actually where we kick in. Michael Schwartz: What do you think are the biggest challenges facing open source companies today? Jakob Freund: You asked that and I already drew the line between open source and Enterprise features. I think that’s a classic one. I think the pattern that I explained, it’s the “rainy Saturday” pattern, I think that works pretty well, at least for software products that I geared towards developers. But as of today, I wouldn’t start a company that has a product that is meant to be used by businesses users and business users only, and make that available open source. Don’t really believe in that approach, but if you have a product that is meant to be used by developers, or like in our case, developers plus business users, then open source may sort of make a sense. The challenge is still to, of course, balance the open source adoption on the one hand with your investments, and the conversion into paying customers on the other hand. Once you figured that out, you can simply hit invest in your pattern, and it works pretty well. So, the challenge, of course, can be that there’s other vendors, piggybacking on the success of your open source project and competing with your Enterprise offering. 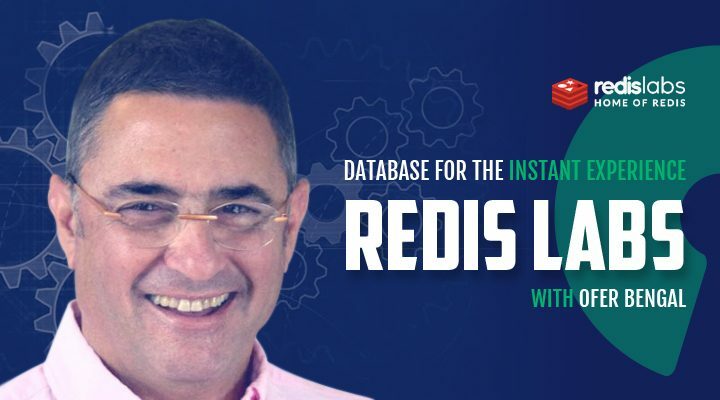 The most prominent example right now is Amazon web services, giving MongoDB and Elasticsearch, a headache because they are offering that open source stuff, with not connecting back to the community or signing up with a REM license, or whatever, with the vendor. So they are actually competing with the software companies on the open source community. And I know that there’s some companies now, wondering about whether they should change the license, for example, make it more difficult, etc. I don’t really think that makes sense, so I think having a clear idea about the buying center and then deliver, and then respect the features for each persona in that buying center, either open source if it’s more developers, or Enterprise if it’s more business users. I think if you do that, then you have a clear conversion channel, or clear conversion track, and you also have a more defensible position when it comes to those cloud vendors, hijacking, so to speak, your open source projects. Because they can only offer the open source project, they cannot offer those Enterprise features – that’s the challenge that I would say I’m away off right now, but that’s also what I believe will be the right approach to take a look. I mean, look at, for example, Elastic – that’s how they do it right now, in a sense. Michael Schwartz: Which open source licenses are you publishing Camunda under right now? Jakob Freund: If you like at it, like on the top level, you will read the Apache license, which is just the vast majority of source code you will find on github and our repository is license on Apache, that’s also some MIT licenses. But in a nutshell, those licenses would permit you to use it, in more or less, whatever way you like. It’s not stuff like GPL or things like that. Michael Schwartz: Do you have any personal advice for entrepreneurs who are getting started and want to use open source as part of their business model? Jakob Freund: I mean, my experience is limited, I have only built this one company, I’m not an entrepreneur. I have this one experience, and as I mentioned before, we started as a consulting business, and this worked extremely well for us. So, being consultants first, building expertise and reputation and a strong home market, like the German-speaking areas, where there’s not a lot of competition that you could find in the US, which is also kind of helpful, of course, to get going. And then using that expertise, reputation and profits to start a software business – that works super well fast, and I believe it can work for most people. You would just need to be aware that big investments take time. It took us 5 years before we started the software business. The question is if you have that time of course. Besides that, the thing that we’ve just discussed around, how to define the business model and how to find what’s open source and whatnot – that’s certainly crucial. We didn’t talk so much about talent and the people that you hire and that you work with – that’s of course a very crucial element. As you can imagine, open source helps attracting great engineers. So there’s engineers, so will you identify them for the open source – that has an impact on that they want to work with us. Here, however, you need to be honest and authentic. Are you doing this only because you’re, for example, idealistic about open source, and it is like your personal crusade against the evil capitalistic vendors, or do you actually have a business national? And it can be both. I guess in our case a bit of the first but probably more of the latter, and that’s fine. But then you should be honest about that also towards your team, and they will appreciate that. And those that are really like zealots about open source, they might leave at some point, because, you know, “we should make everything available open source. No features Enterprise,” and that kind of stuff. And then, it’s better to part than to not be honest about that. That’s another advice that I would give about that. Michael Schwartz: Jakob, thank you so much for your time. Jakob Freund: Yeah, happy to. Thanks. Michael Schwartz: Special thanks to the Camunda team for hosting the interview. Transcription and episode audio can be found on opensourceunderdog.com. Next week we’ll have a remote interview with Liferay Founder, Bryan Cheung. One of his interviews inspired this podcast – don’t miss it. He has a lot of brilliant and inspiring insights into life and business.